Finding love and a meaningful relationship is one thing, but if the two of you don’t share the same faith commitment, things can get tricky. Christian Mingle is a dating site that has put faith first, helping match men and women who are looking for a God-centered relationship. The site uses a number of sophisticated means to improve compatibility and also heighten the user experience. You’ll have to answer a fair number of questions when you sign up for Christian Mingle, but it’s easy and worth it. First you’ll be asked to fill out some personal details, such as your age, height, education, Christian denomination, and whether or not you want to have kids (or already have kids). You’ll then be taken to a screen where you highlight your interests. There are dozens to choose from, so take your time. Afterwards, you are presented with the option of signing up for a paid membership or browsing other users for free. If you don’t get a paid membership, you’ll only be able to see one photo of each user, and won’t be able to contact them. On the other hand, you’ll get to see a percentage next to each user, showing to what extent you match. This can give you a good idea of how many matches are out there for you before you commit to a paid membership. Once you’re set up with a paid membership, you can use the site’s ‘LookBook’ feature to browse through profiles one at a time, anonymously. The matches you’re shown are based on your ‘discovery preferences,’ a tool that determines which profiles the site shows you. You can change your discovery preferences at any time. You can also adjust the search filters by clicking on the ‘I’m seeking’ box on your browse tab. Choose to widen or narrow your preferences at any time. You can ‘like’ any profile you see and these profiles will be saved in the ‘My Likes’ section of your activity page. Matchmaking on Christian Mingle is based to a large extent on the preferences you fill out when you first sign up, so you should definitely take your time with this section. ChristianMingle includes extensive safety tips on its website, which is handy, especially if you’re new to online dating and are curious how to do it safely. The site states that when you sign up it stores your personal, demographic, and usage information and in some cases may share it with third party vendors or affiliates. When it comes to safeguarding your data, the site uses firewalls and Secure Socket Layers (SSL) to keep you safe. Christian Mingle may cost slightly more than some other dating sites, but if you find true love through the site, it’s hard to put a price tag on that. Also, if you sign up for a longer plan, the price goes down per month significantly. Christian Mingle has an extensive online knowledge base where you can easily find answers to your queries. If your answer isn’t there, you can use the site’s live chat or online form to send a question. Meeting someone who shares your goals is a big part of finding a relationship that works. This can be especially true when it comes to faith and whether or not you see eye to eye on the lifestyle you want. 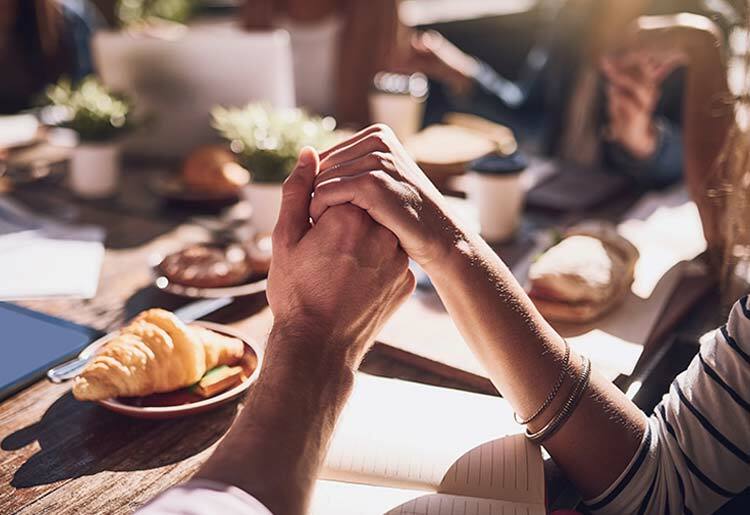 Christian Mingle brings together Christians of all denominations who have made their faith a central part of their lives and what they’re looking for. The site helps you find people who share other things in common with you, to help you find a compatible partner. It also includes a number of fun and easy tools for communicating.